Haas is really creative! He began his career as a professional footballer but nowadays plays with his own band. 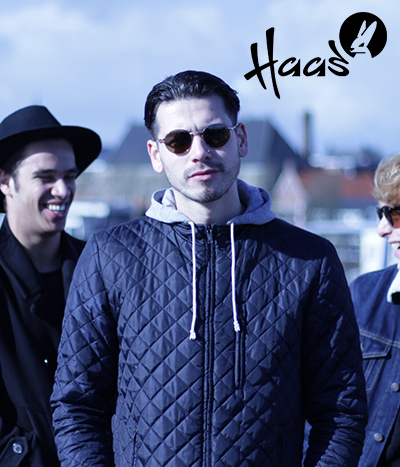 Haas has its musical roots in Hip hop but his melodic raps and catchy choruses make him also suitable for the pop scene. His last single “Wat als ik een Millie had” got airplay on 3Fm and Slam Fm.